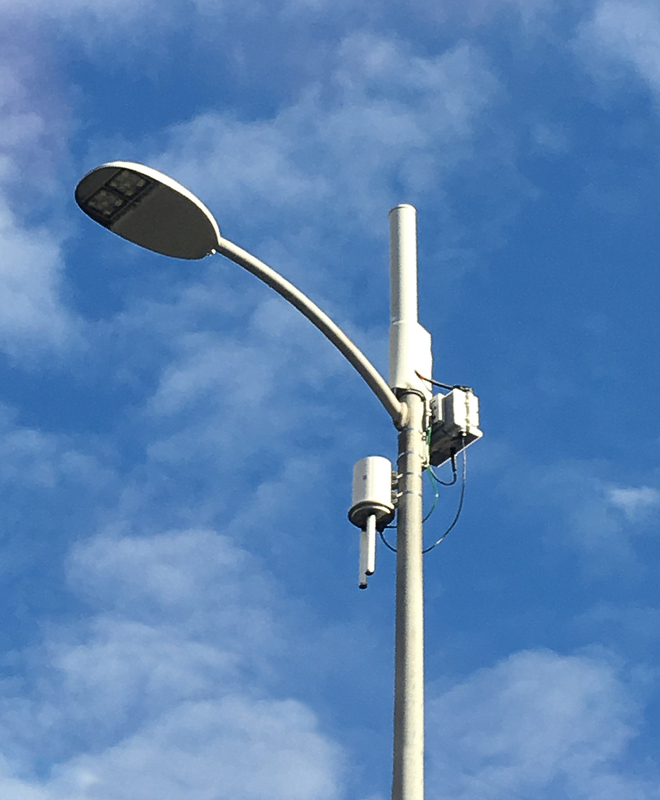 After Mobilitie’s Gary Jabara’s particularly repugnant and inexcusably-insulting remarks about local governments published in AGL Magazine last month, who would have expected his firm to finally join the rest of the wireless industry and propose enclosing site equipment within radomes atop light standards? What’s even more shocking is that this design does away with all of the external equipment (save for a pedestal-mounted utility power meter, which might not be necessary in every case). Below is a capture of a photo simulation from a Mobilitie project submitted to a local government in Southern California. Photo simulation by Mobilitie; new site design proposed in Southern California. Site identifying details deleted by Dr. Jonathan Kramer. The 7′ tall radome on top of the replacement light standard encloses the subscriber-link antenna, the RRU, the backhaul (UE) relay equipment, and power distribution cabling. 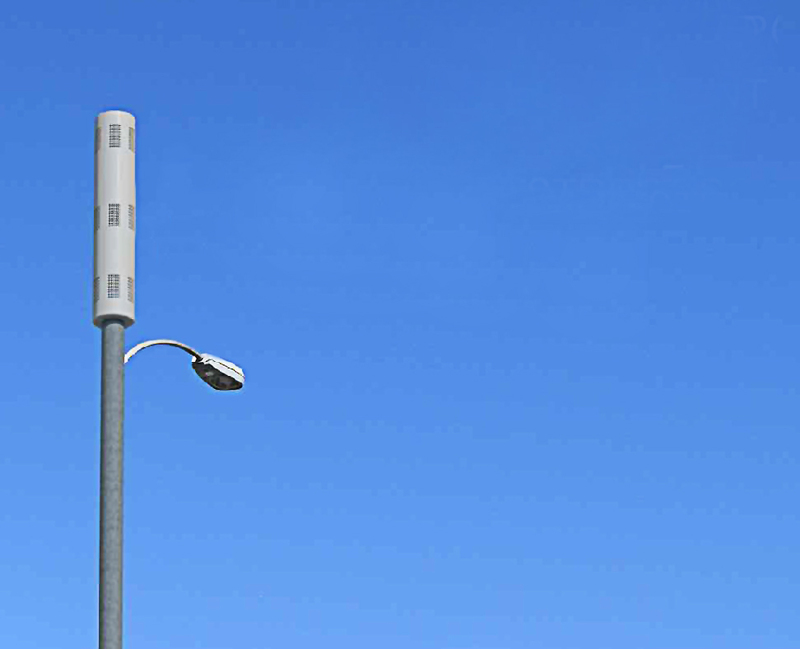 Existing Mobilitie ‘Pox-on-a-Pole Walrus’ site in Los Angeles. Photo by Dr. Jonathan Kramer. It’s encouraging to see that at least the site designers at Mobilitie are starting to step up their game addressing local government aesthetic concerns, notwithstanding what the top leadership at Mobilitie seems to think of those local governments. It’s time for all local governments approached by Mobilitie to push back for reasonable camouflaged designs, at reasonable heights, rejecting their ridiculous pox-on-a-pole designs of what I call Mobilitie’s Rev 0.7.